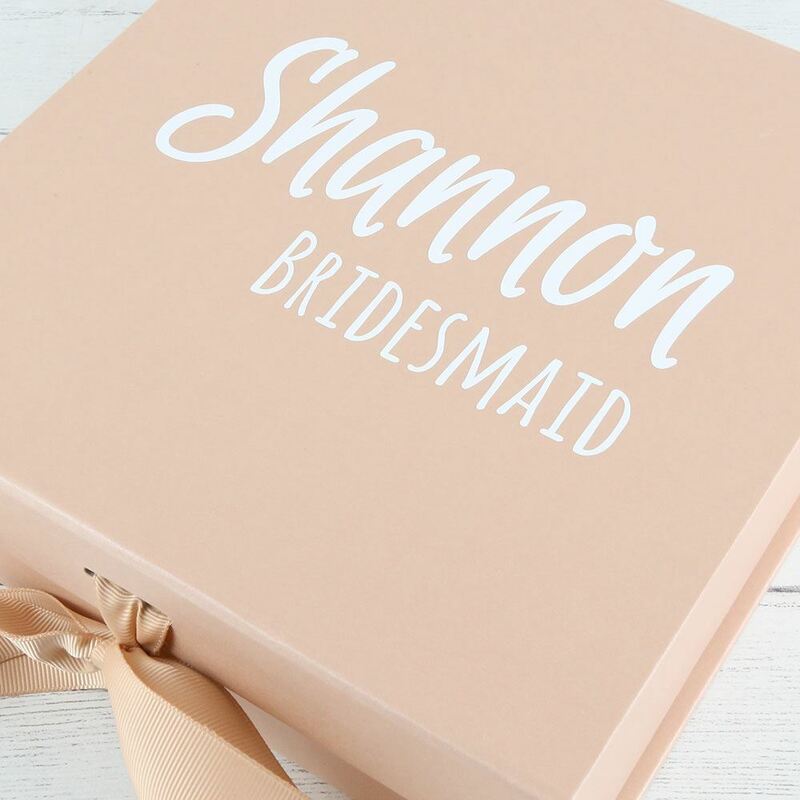 Our bridesmaid gift boxes are the perfect gift for your bridal party on your wedding day. Fill them with everything you need for getting ready like robes, glasses, emergency chocolate, face masks and small keepsakes. The box comes with the name of the person and title on the front of the box. 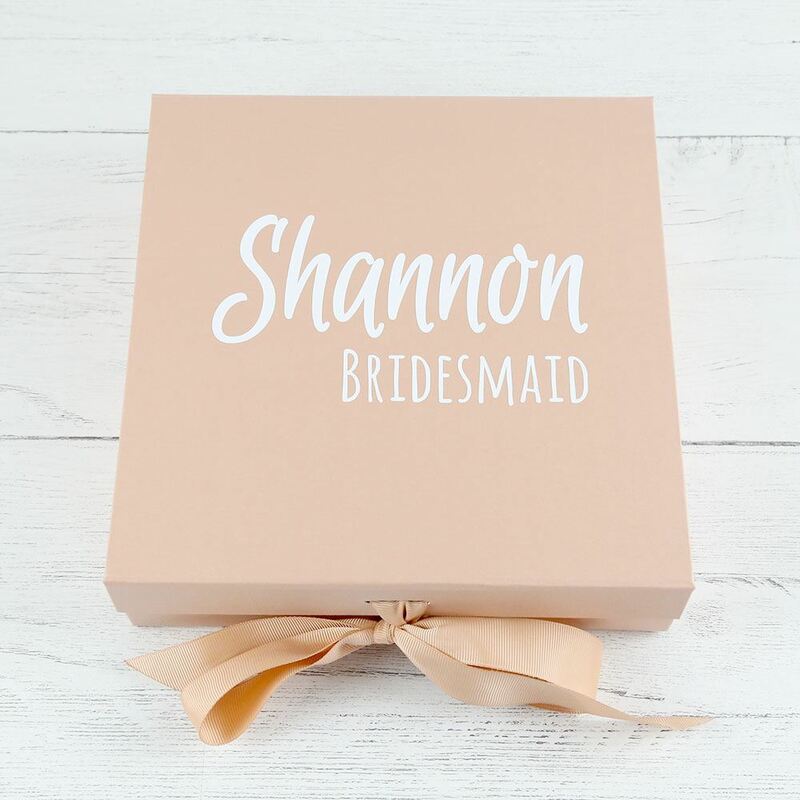 Perfect for the bride too. 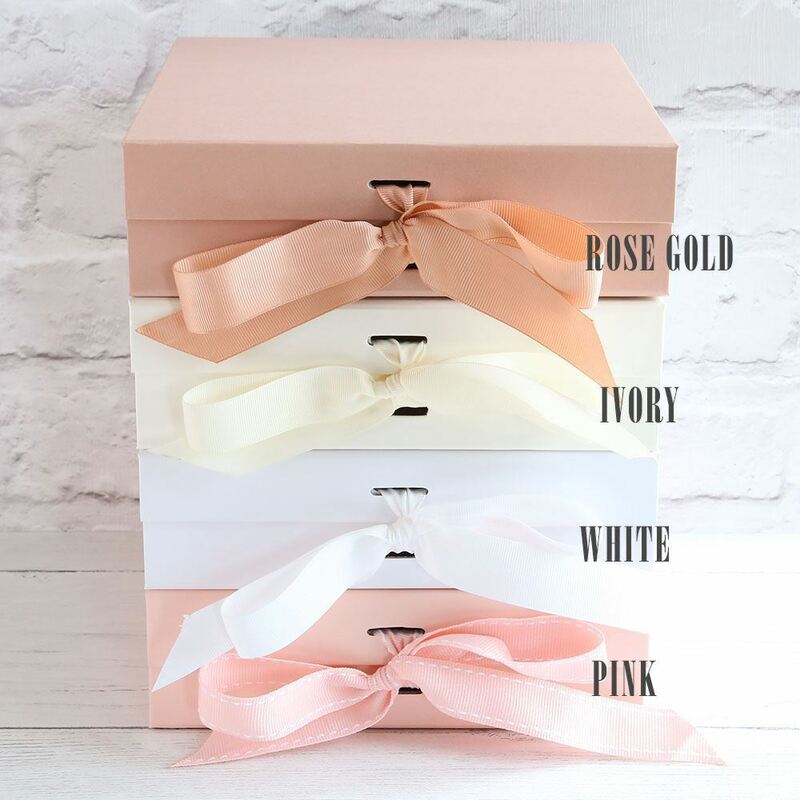 These are high quality board boxes and they come in a range of colour options. 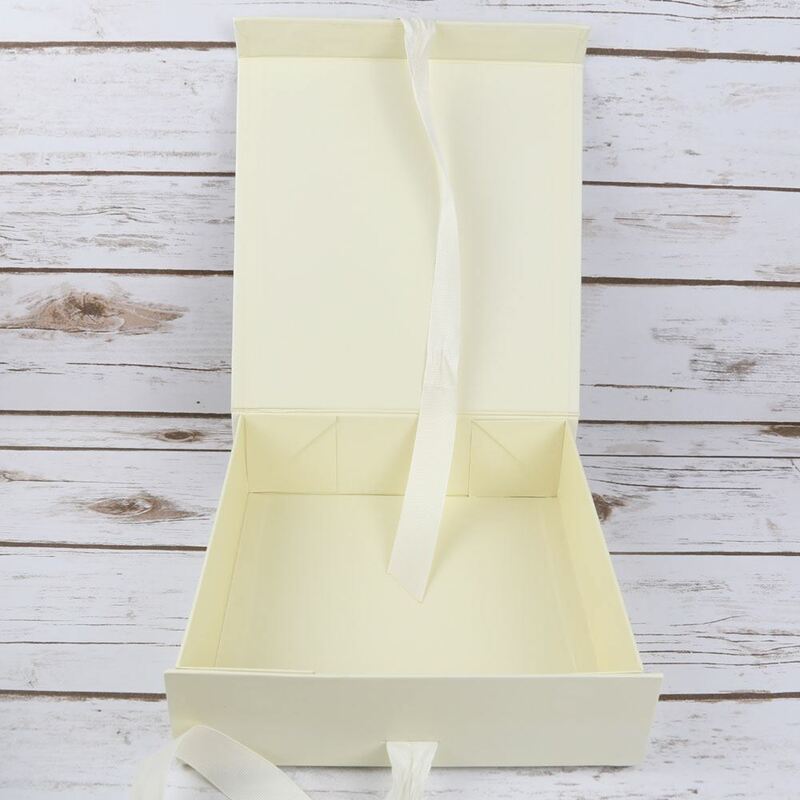 The box comes with a magnetic snap shut lid and is finished with a matching bow. 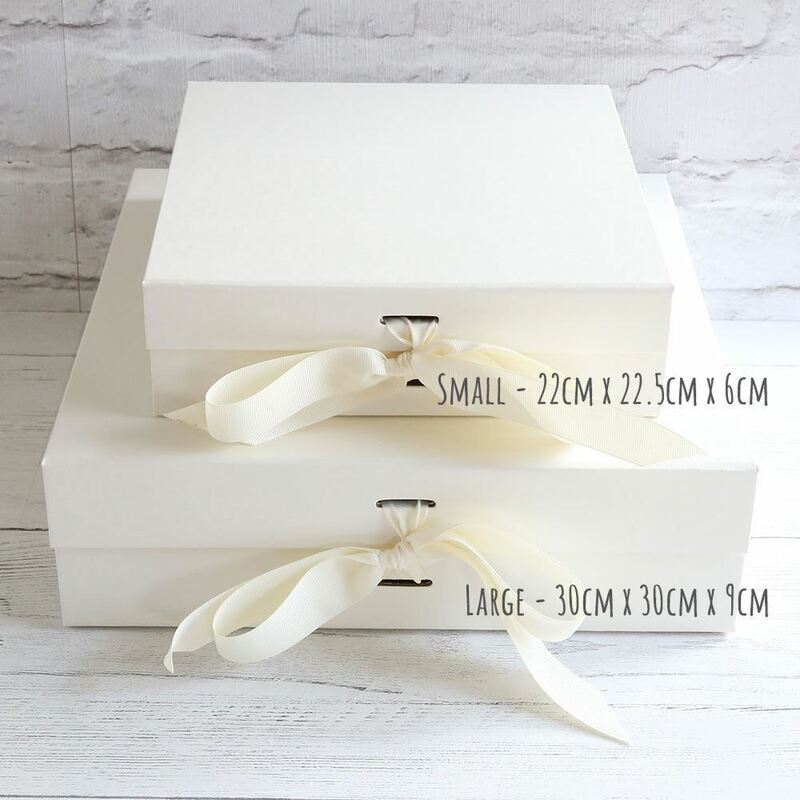 The small box measures 22cm x 22.5cm x 6cm and the large box is 30cm x 30cm x 9cm. 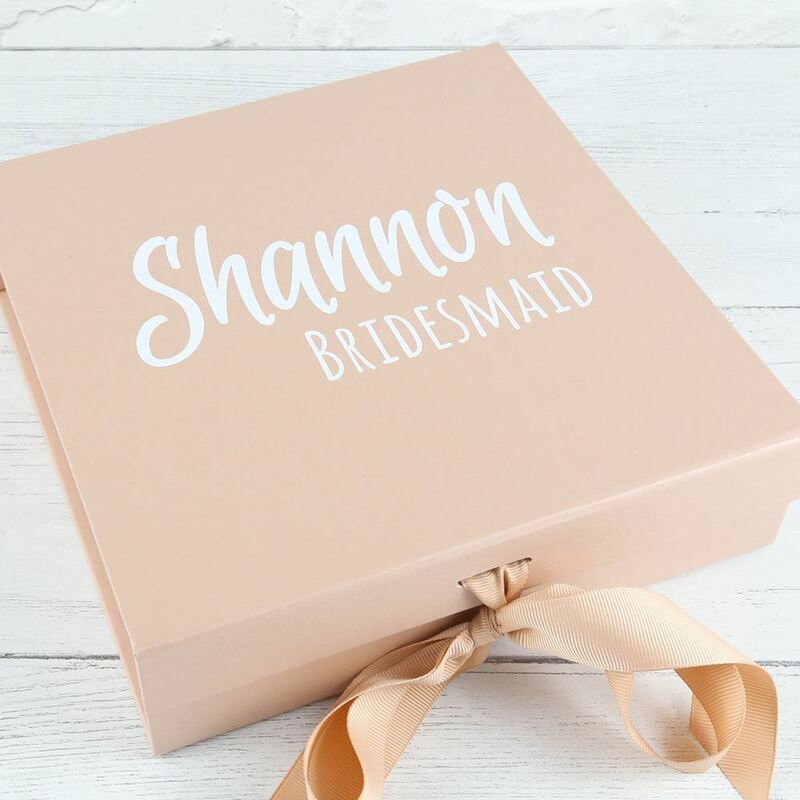 ****PLEASE NOTE**** Due to the size of the boxes, if you order 5 or more (3 for international orders) they will come flat packed but are easily assembled with no gluing required.